The Gay Almanac: Transgender Activist Fran Fried Competes on Jeopardy! Transgender Activist Fran Fried Competes on Jeopardy! Fran was only the third transgender contestant in the show's history. 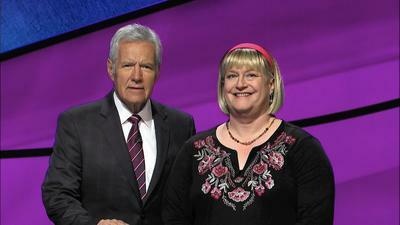 Though Fran did not win the show that aired Tuesday, October 17, 2017, she tied for second when both her and another contestant bet all their money and got the Final Jeopardy question wrong. The winner, who also got that question wrong, won with only $1.